Chicago: land of festivities and (lots and lots o’) food | Small, but valuable. 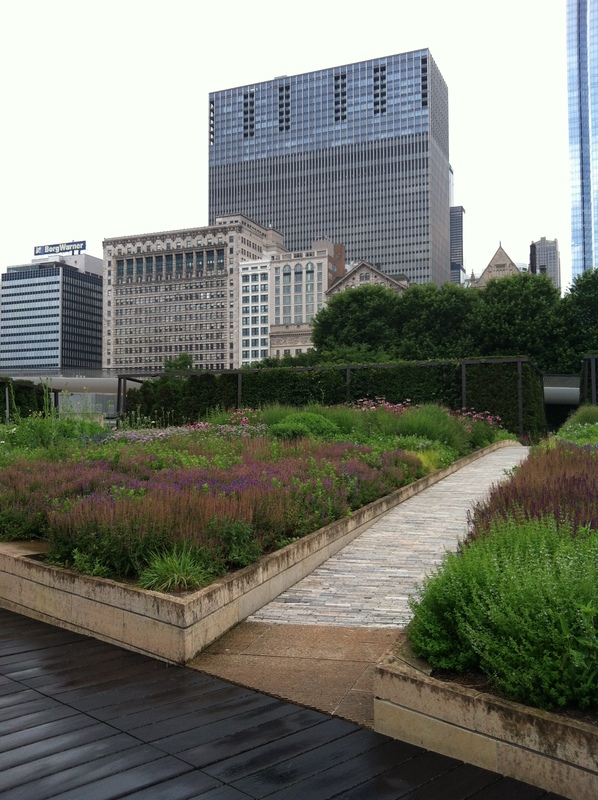 We had a weekend adventure with friends for the past several days, and that adventure took place in Chicago. A friend got married, and there was much rejoicing. Between wedding and airport adventures, we tried to fit in some typical garden adventures. Scott is giving a mildly disapproving face because A) he likes real veggies, not metal legumes, and B) you can’t get out of the bean’s area on two sides of said bean. He may or may not have felt duped by the bean. I still like it. 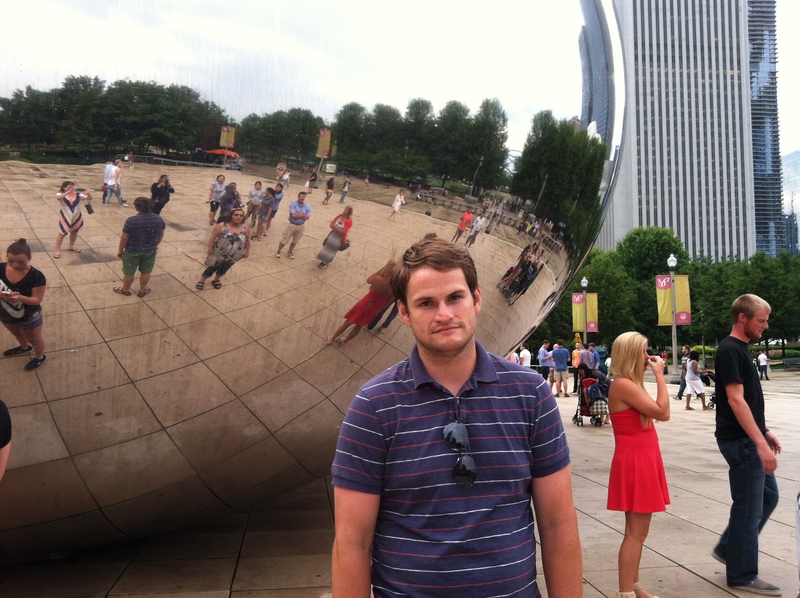 With the small exception of the bean trap, my country-loving husband found himself enjoying just about every aspect of Chicago. Yay! I did an internal happy dance when he said that he liked the city. 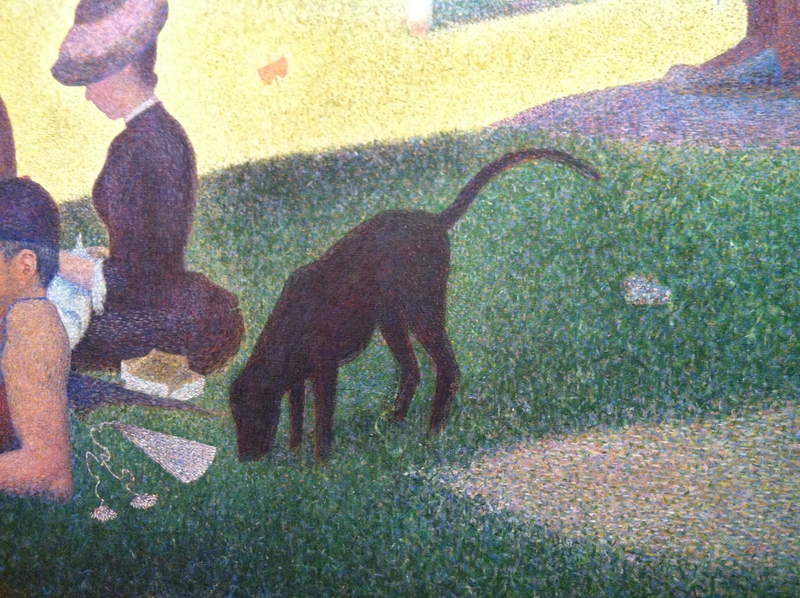 We even found Pointillism Peanut in the Art Institute of Chicago. Seems like artists keep getting his tail wrong, and Seurat missed a few crucial pieces of fluffy mane fur, but pretty close. I’ll give it a B+ for Peanut Representation. Obviously, it gets a higher score as an overall painting (“A Sunday Afternoon on the Island of La Grande Jatte”). And between the culture and the walking, we ate. A lot. My favorite food was at The Purple Pig, mostly because of their grilled olives with grapefruit rosemary jam. I will be learning how to make grapefruit rosemary jam, because when combined with grilled olives, it was epic. Anything that can beat out some of the best pancakes of my life (from Yolk) is a winner, since breakfast is my favorite meal and all. Hopefully someday I’ll be able to tell you how to make grapefruit rosemary jam, too, and we can all get fat on fruit and herbs and olives.